During a few days visit to the Cambodian capital, Phnom Penh, visiting a friend and exploring the city we dropped by the Royal Palace. 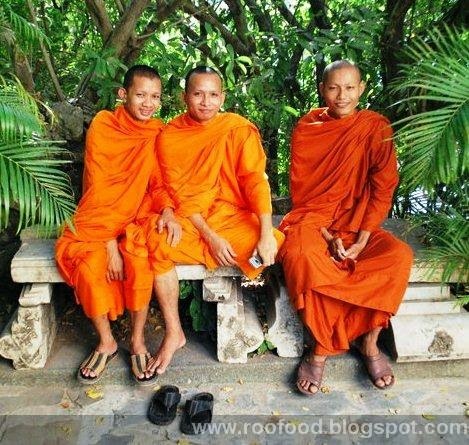 I couldn't help chatting to these young boys who have entered the monkhood (even for a brief amount of time). As long I didn't touch them or get to close to them they are happy to practice some English with me and they liked to giggle when I tried to speak the very limited Khmer I had. Definitely one of those special travel moments.